Does your home security need a spring makeover? 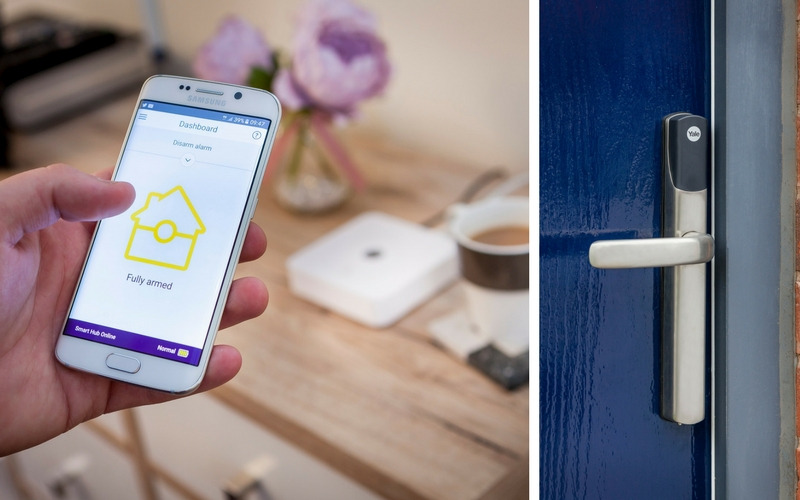 Yale, the home security expert, is giving away a smart security package comprising of a Yale Smart Home Alarm Kit and Conexis® L1 Smart Door Lock, worth over £550! The Yale Smart Home Alarm Kit allows you to arm, disarm, control and configure your home alarm system via your smartphone, so you can be in, even when you're out. Receive alerts and notifications if the alarm is triggered, alongside picture alerts from the PIR Image Camera, so you can see exactly what's going on in your property. Alongside the Smart Home Alarm Kit, this prize also includes the latest in smart door locking solutions. The Conexis® L1 Smart Door Lock allows you to configure, control and unlock your Smart Door Lock from your smartphone via the Yale secure Bluetooth app, giving you full control over your door. Grant family and friends access by sending them a virtual key to their smartphone, and revoke when necessary, and keep track of who comes and goes via the app - a perfect solution if you're planning a holiday in the coming months. For more information on the products in Yale's Smart Living range, or for more tips on how to secure your home, please visit the Yale website.